Chances are good that you have seen the work of Walter Chandoha, for he has produced photos covering countless magazine covers, billboards, t-shirts, posters and product packaging. His career as a commercial photographer has spanned decades, and we wanted to know how it all began. 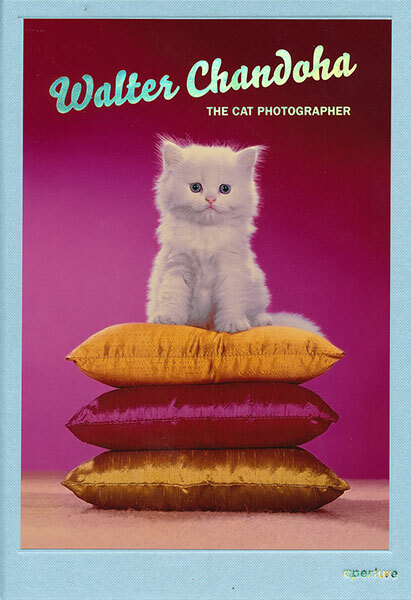 How did he become the illustrious "cat photographer"? Well, it's our honor and privilege to have recently interviewed Walter, and his is a story you don't want to miss. Q. What started your career in photography? A. I was bitten by the photography bug when I was a student in Bayonne, N.J., high school and had been scratching to learn more about the subject ever since. To learn more about photography I went to the local library. A helpful librarian there helped me find books on photography. I have never forgotten her explanation of the Dewey Decimal system and that I could find books on the subject located in the 770's in the Dewey system. I read all the books they had on photography but didn't understand much of what I read but I did learn about the rudiments of developing film at home. I borrowed some of my mother's soup bowls and in an unused closet made a darkroom and developed my first roll of film. To learn more about how to take pictures I joined the Lens Club of Bayonne, whose membership was made up of experienced photographers, both amateur and professional. Not only did I learn from my fellow club members but also from lecturers who were frequent teachers at the club. By the time I graduated from high school I had become fairly knowledgeable in darkroom developing and printing. After a brief stint as a stock boy at Macy's department store it enabled me to earn some money to buy a real camera. It was a 35mm Baldina: no auto-exposure, no zoom, no auto focus, no rangefinder - no automatic anything. But it was a good camera to learn more about photography. Gradually, by trial and error and instruction from my peers at the camera club, I became a fairly good printer, so good that one of our guest speakers from New York recommended me as an apprentice to Leon deVos, a commercial photographer who made illustrations for top notch Madison Ave advertising agencies. DeVos liked my samples and hired me, at $12.00 per week, 40 to 60 hours a week, no medical plan, no vacations paid or otherwise, no benefits, but I was overjoyed to have such a great opportunity to learn more about photography. I not only learned to improve my darkroom skills but more importantly, learned about light and how to use it to make good photographs. Although I wasn't aware of it at the time, the classic backlighting that I use on my cat images in the studio and for my garden images made with the sun outdoors, had their origins in the pictures deVos made for his clients. Q. When did you really begin to put your effort into the niche of commercial photography? When did you realize you could make a career out of it? A. 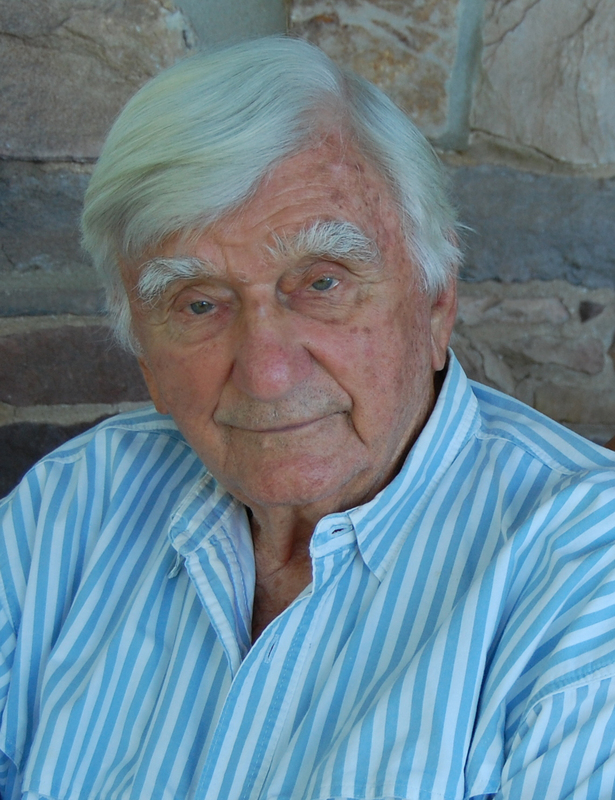 My job with Leon deVos taught me more about photography than I'd learn as a degree student at a university. But after two years, still at apprentice wages, I left and became a portrait photographer in New Orleans and Newark when their pre-war Main streets were still thriving. Did this for about a year until I was drafted into the army. I was a immediately assigned as a press photographer on a weekly G.I. newspaper. Soon after, I was transferred to the Signal Corps as a combat photographer in the Pacific, serving in New Guinea, Borneo and Leyte and Luzon in the Philippines and finally in Japan in public relations. I thought I was finished with photography at the war's end and I enrolled in NYU, majoring in marketing. I dreamed of making advertising on Madison Ave in NYC as my life's career. But in my second year at NYU, I married my wife, Maria and we moved into a three room apartment in Astoria Queens. It was strange having a smart woman helping me with my homework. And one snowy evening coming home with a load of homework, as I walked home from the subway, I found a kitten in the snow. I picked him up, took him home and my wife immediately fed him, made a cozy bed for him and he woke up the next morning captivating us! And when I wasn't doing homework, I started making pictures of Loco, as we named him because of his crazy antics. When I made some pictures of Loco that I thought worthy of publication, I sent them to one of the many NYC newspapers and every so often they'd buy one. My cat pictures got better and better and sales got so good that I sought other cats to photograph. I went to shelters, cat shows and cat owners houses, even the city streets provided cat models. I was making these cat pictures while still a student at NYU. When I got my degree, I had by this time acquired some stature as a cat photographer in the NY publishing scene and we kept getting requests for cat photos, not only from newspapers but also magazines. Now I was at a cross roads: do I try to make it in advertising or become a freelance cat photographer? Both my wife and I liked cats and we liked the idea of working at home together, especially since we'd now be raising our first born child together. We chose the uncertainty of freelancing and all its pitfalls. It took a few years before we finally realized that we could make a career out of it. 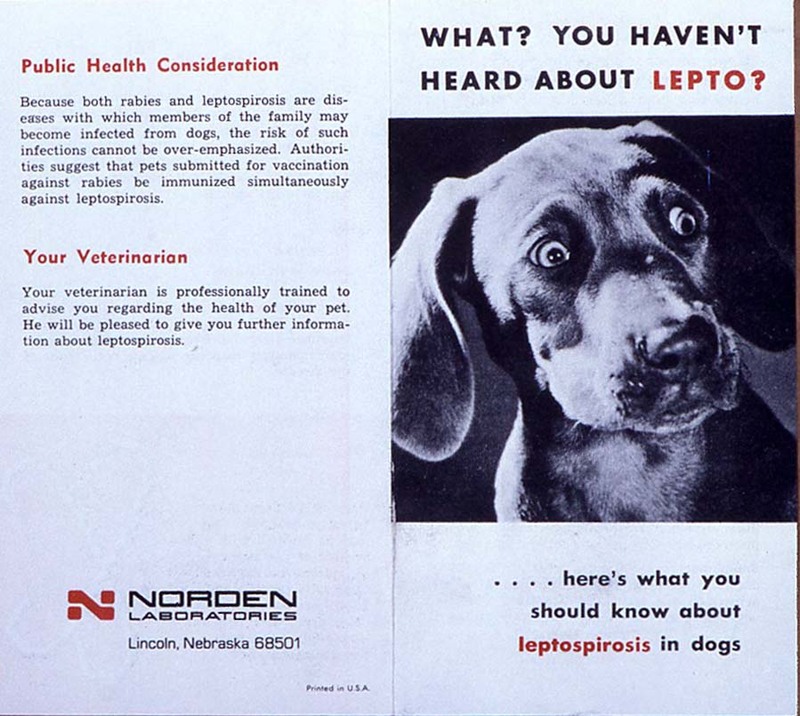 That was around the early 1950's. Q. What photographers and/or artists are you influenced by? A. Gottfried Mind a great cat artist who lived in Switzerland in the early 1800's. Often called the Raphael of Cats he has been my mentor. Sadly I could never duplicate photographically his technique of distorting the size of his adult cats (big) relative to the kittens size, (tiny). And by studying paintings of Johan Vermeer, a dutch artist of the mid 1600's, I learned to use available light. Most of his interior scenes are illuminated by the light coming from one window. Some of my best cat pictures are lighted this way. And for composition, I try to emulate Norman Rockwell of Saturday Evening Post fame. The way he placed his models was impeccable. Q. Can you share some special/notable moments from the studio? A. My wide eyed Weimaraner, a once in a lifetime image. My wife Maria and I were in the studio making pictures of this pup, when one of my kids walked in with a kitten. The dog had never seen a cat before, he was so startled, his eyes opened so wide, that is when I got that shot. I call this an EXACT INSTANT picture. It is truly a once in a lifetime picture that can happen only when the subject is constantly being observed through the viewfinder and releasing the shutter at the EXACT INSTANT, when the action happens. 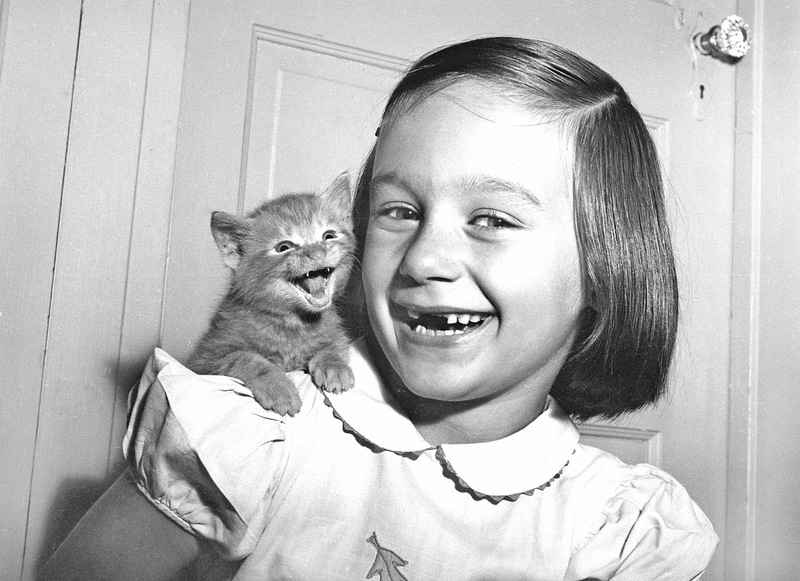 Another EXACT INSTANT shot is the one of my daughter, Paula, with a kitten sitting on her shoulder, both are smiling. Their smiles happened so fast, then were gone, luckily the coordination of what the eye saw, then was relayed to the my brain which sent a message to my trigger finger to press the shutter at the EXACT INSTANT! Producing another once in a lifetime shot! Their smiles happened so fast! 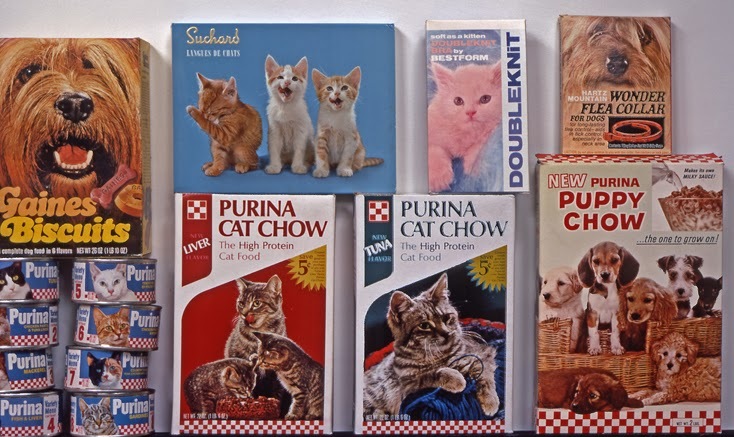 Another notable moment, not in my studio, but in a TV studio in Chicago where I was a technical adviser for the making of some cat food commercials. My job was to suggest certain situations for the TV crew to film. When I suggested that our mother cat model would carry a kitten in her mouth and we'd get some great footage. They loved the idea but said it couldn't be done. I suggested the camera man set his focus on a given point. Then I picked up one of the 'crybaby' kittens out of his bed where his siblings and mother were quite content and sat him on floor about 15 feet away from the mother and the other kittens. The 'crybaby' kitten began crying, it's mother kept looking toward it, yet she didn't wan to abandon the quiet kittens. The crying kitten cried even louder. Exasperated, the mother cat jumped out of the basket, walked across the set, picked up the 'crybaby' in her mouth and walked back to the basket. The crew got the footage and I was thereafter considered a genius by that agency. It was nothing more than knowing what a cat will do under given circumstances. It was another EXACT INSTANT picture, but one that could be easily duplicated, unlike the widened Weimaraner and my daughter and the kitten smiling. When Maria and I worked in the studio, I had the easy part of making the pictures. All I did was squeeze the shutter button. She was in control of making the animals behave. 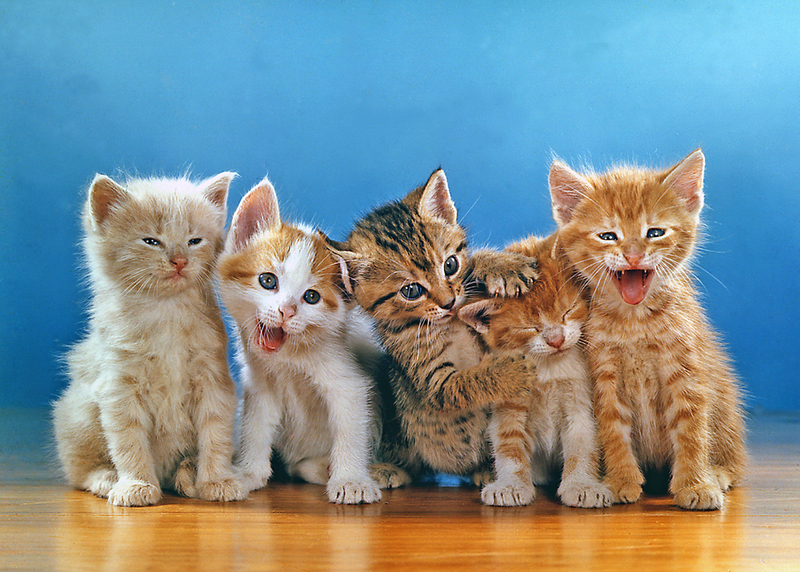 When a bunch of cats were up on the set, she was the one who was responsible for getting them to cooperate. She would pet and cajole them, maybe give them a snack or two. And she'd talk to them and when they'd talk back to her by purring, we were ready to make pictures. Without her, I could have never made any of my studio shots. Q. What are some of your favorite photographs you've taken? A. 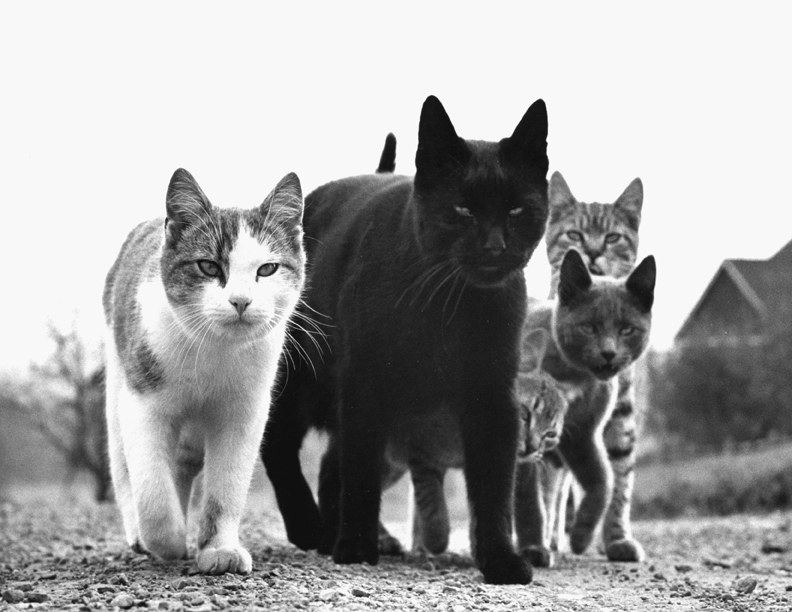 The 'Mob', a group of cats walking toward the camera all looking determined. And 'Happy' my daughter Paula with the kitten on her shoulder both smiling. Both of these photos are greeting cards with the card company called, Palm Press, and are readily available to the public. Five Crazy Kittens, this one appears in my latest book, each kitten is doing something different, another once in a lifetime photo! Another favorite is of that first cat 'Loco', the intense and alert eye contact of the cat with the viewer. This one appears in the book too. And another favorite that also appears in the book is the 'Cat looking in the rathole', the patient cat waiting to pounce on the rat! A. No matter how successful a photographer seems to be, freelancing always has it's periods of uncertainty. My wife and our brood of six kids had a mantra in these uncertain periods, "there's nothing coming in", meaning no income, no assignments, nothing, nada! Luckily, we always had a back yard food garden. My wife grew up in South Jersey with a family that always gardened and they knew how to store and preserve what they grew. I learned to garden from her and thanks to our garden we could always feed the kids, when "nothing was coming in". I became so proficient at gardening that I thought garden writing and photography could help our business. 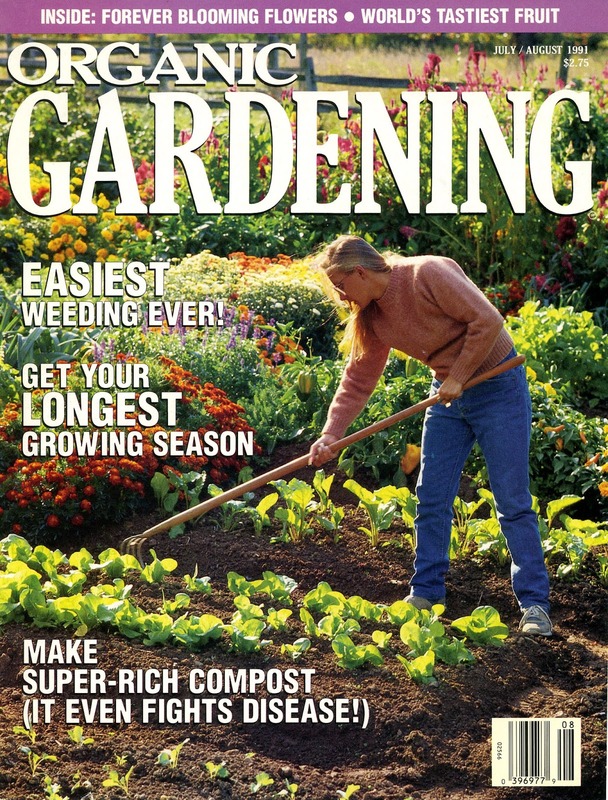 The first gardening article I wrote I sent it to the NY Times, ACCEPTED!! Very encouraging! So as I grew stuff in my garden I wrote how to's and made pictures of the stuff in the garden. The garden not only gave us food but started to give us photo income too. 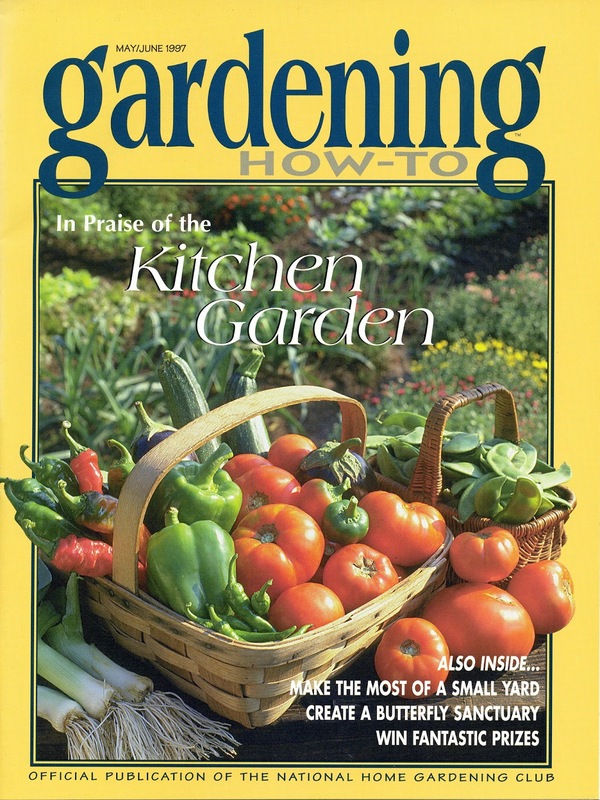 The garden photography and writing became another specialty toward the final years of the 1990's. I was doing more garden photography than animal photography. My wife, my animal handler passed in 1992, so it was some what therapeutic to be in my gardens. In 1996 I was made a 'Fellow' by the Garden Writers Association, again in 2006 they honored me with the highest award they give, 'The Hall of Fame' award. Now with six kids and a couple of hundred thousand pictures later- counting more than 300 magazine covers of both animals and gardens, and easily thousands of advertising illustrations with my animal or garden pictures, and greeting cards and calendars and over 30 books written, and/or illustrated with animals or gardens. One of my daughters keeps telling me that if I don't retire soon (I'm 95), I should at least practice retiring once a week. 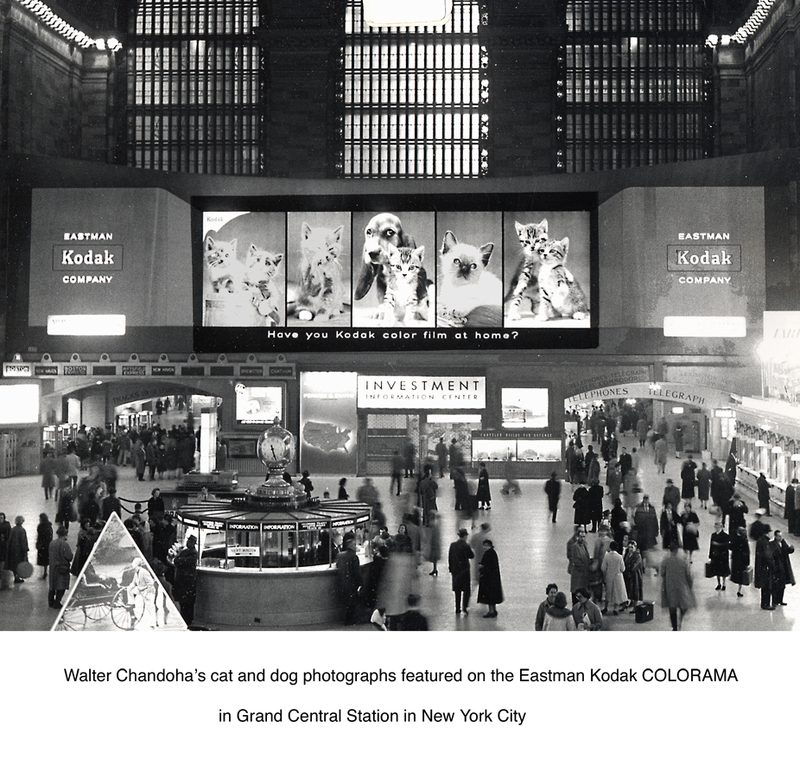 Click here to purchase Walter Chandoha: The Cat Photographer. In the book Chandoha is interviewed by David La Spina, who has been working with Chandoha and his family to bring his archive to public attention, and Brittany Hudak. The interview includes photography tips and diagrams of Chandoha's studio setup, and more about how he came to make a living with animal photography.